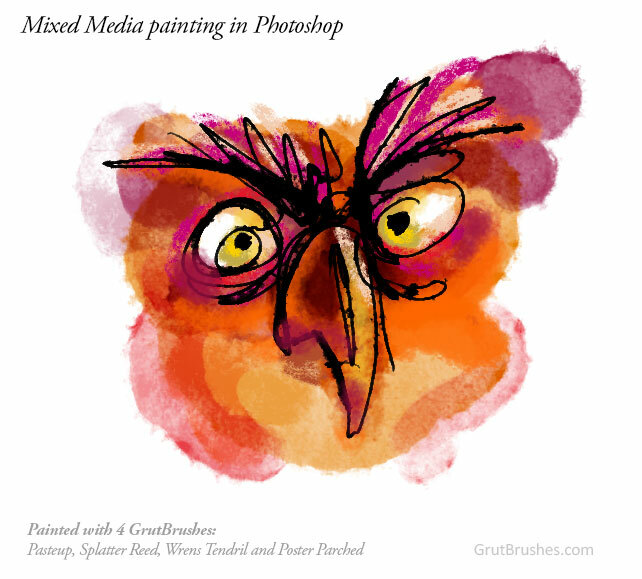 As always, you can download it from the shop or the member’s free Photoshop brush page for free until the end of this week (July 5th) when there will be a new free brush. 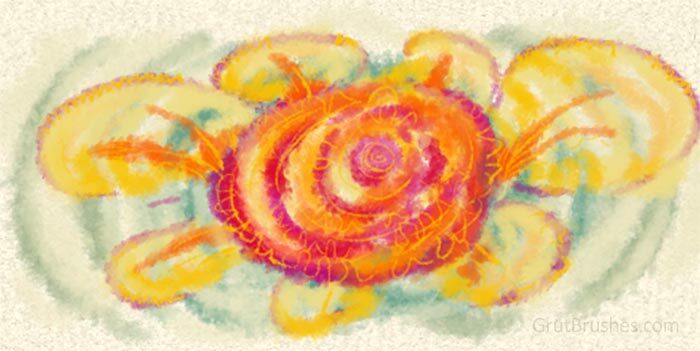 This week’s free brush is a grainy watercolor brush that has a lot of splattery texture when applied with repeated short strokes. 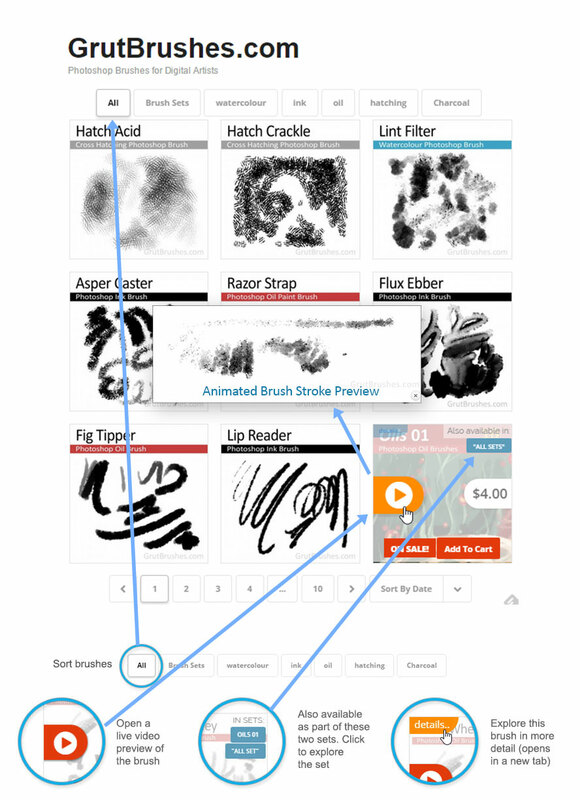 Lift your stylus between each stroke to maintain maximum speckling or maintain contact to clean up the stray ink spots a little. 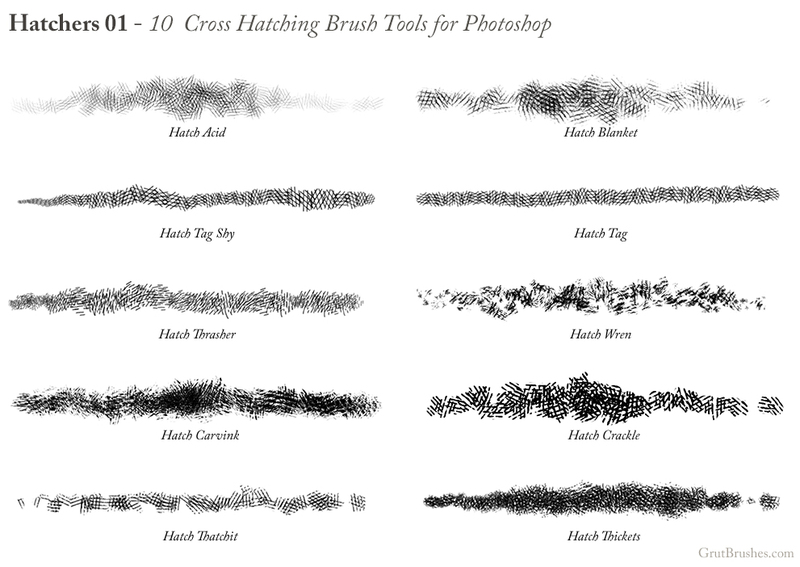 As always, you can download it from the free Photoshop brush page until the end of this week (June 28) when there will be a new free brush. 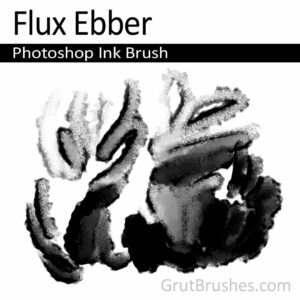 If you’ve ever used a palette knife to spread printer’s ink on a palette or a plate of glass this brush may feel familiar to you. 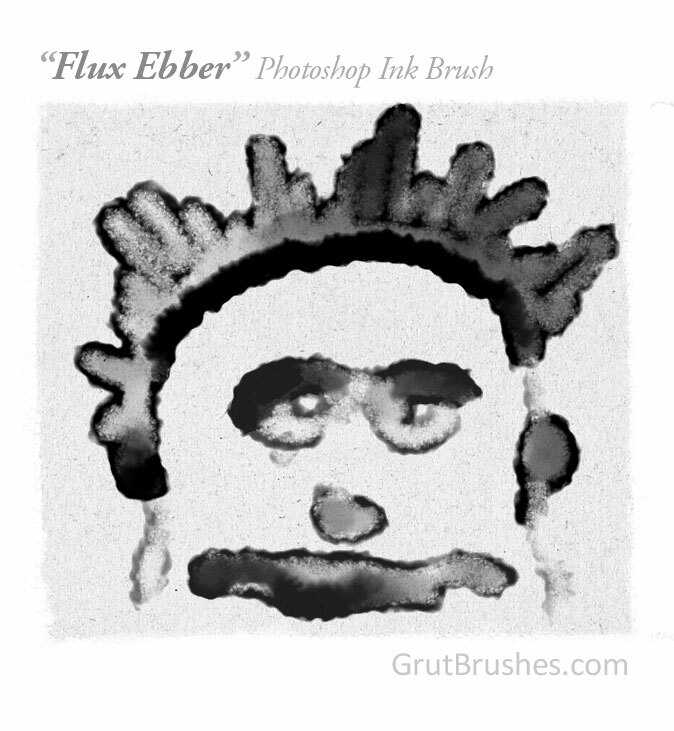 Flux Ebber is a tremendously wet, heavily loaded ink brush that quickly covers with opaque ink but can be wiped off and ‘squeegied’ around as long as you don’t lift your stylus which effectively dries the stroke. 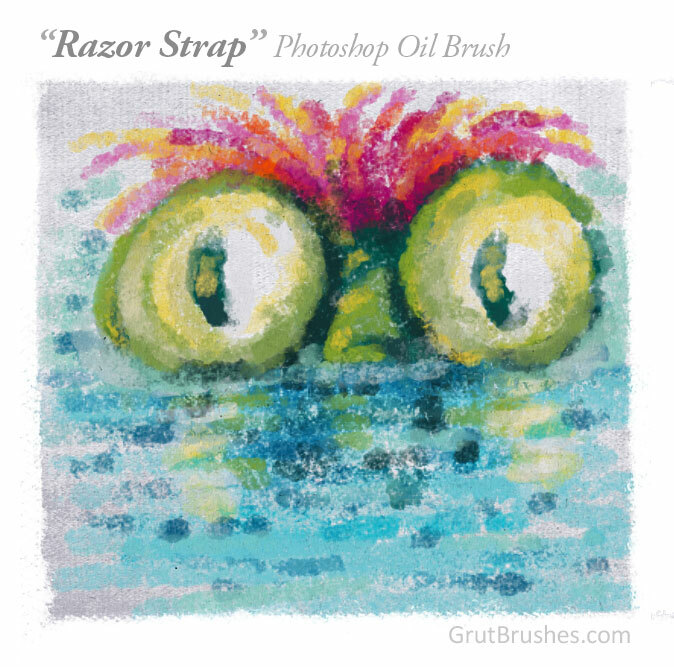 The brush is lightly weighted to one edge to give it slight directional characteristics. 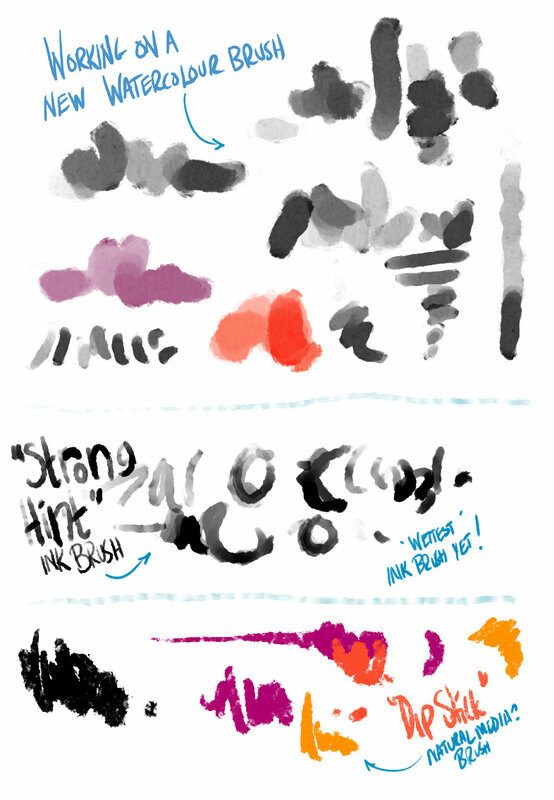 As always, you can download this brush for free until the end of this week (June 15th) when there will be yet another new free brush.